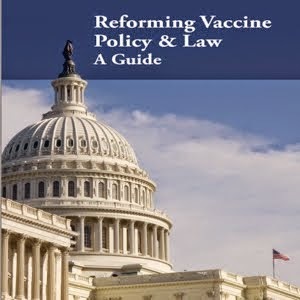 The National Vaccine Information Center has been calling for reform of the mass vaccination system for the past 25 years. The FDA, CDC and NIH separately and together cannot be given the conflicting responsibilities of researching, developing, regulating, making policy for and promoting mandatory, mass use of vaccines. In addition, DHHS cannot be totally in charge of choosing, designing, and conducting or monitoring the implementation of studies investigating vaccine risks. These federal agencies have a too-cozy relationship with the pharmaceutical industry and have turned into nothing more than public relations and advertising agencies for drug companies using taxpayer money to foot the bill. No wonder many federal public health officials retire from the FDA and CDC and go on to lucrative second careers as drug company employees or consultants. Sometimes they don't even wait to retire to dip into the BigPharma cash register. Some M.D./Ph.D. vaccine policymakers personally own patents on the vaccines they persuade the FDA to license and the CDC to label "universal use" vaccines so the states will mandate them and profit making will be immediate and unlimited. And the M.D./Ph.D. researchers working for HMO's like Kaiser Permanente, which is often paid by theCDC and/or vaccine manufacturers to "study" vaccines and publish studies discounting vaccine risks, are just as guilty. (click here for the recent "study" whitewashing whole cell pertussis vaccine and measles vaccine risks, a piece of junk science that cannot hold a candle to the large, prospective case controlled National Childhood Encephalopathy Study,which found a statistically significant correlation between brain damage in children and receipt of these two vaccines). Will Congress take a look into the dark corner of conflict of interest at federal health agencies and deal with it or did the IOM report skip this part? We don't need to hold a pity party for "rattled regulators." Pity the poor families whose children's futures have been stolen from them by public health officials with their heads in the sand, their hands in the cookie jar and their conscience in the freezer. 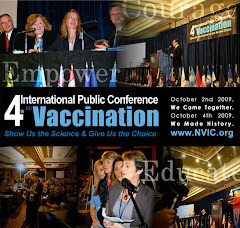 Pity a nation too afraid to hold M.D./Ph.D.officials accountable for writing off millions of chronically ill and disabled vaccine injured children as expendable in the name of "disease control" and the "greater good."